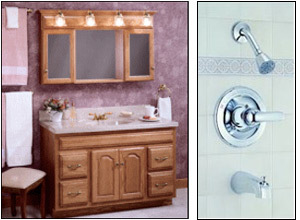 Our wide variety of plumbing products allow you to remodel your existing bath or build a new one. Fiberglass and Acrylic tubs, showers, and whirlpools by Maax, at great prices. Vanities and medicine cabinets from either Schrock, Kitchen Kompact, Aristokraftor Woodpro give you a great choice of today's styles and finishes. Faucets by Moen and Peerless features washerless construction and up-to-date designs for both Bath and Kitchen. Insulated tanks (to prevent sweating) and handicap models are part of our in-stock toilet selection. Plumbing pipe in PVC and CPVC make it easy to install a new drain system or add to your existing one. 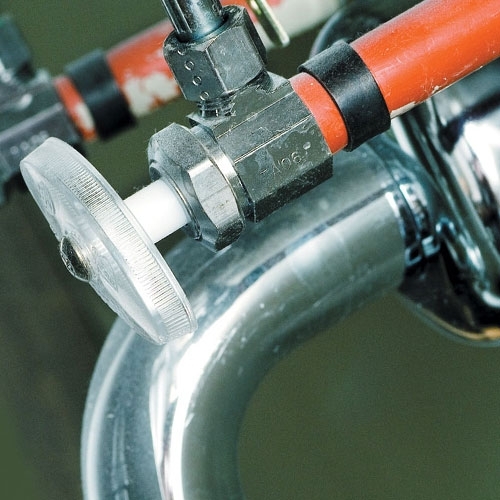 Our plumbing department also offers bath fans, kitchen sinks, copper water pipe, pumps, sewage ejector systems, water heaters, water softeners and water filtration equipment. You will find that Big L is your best choice when looking for the latest products and ideas.